Promote Your Blog By Using Free Web Sites! Did you know that you can write articles on Wikipedia too. Yeah go for it and include a link to your blog in between those articles. Remember article should be genuine and link to your website should be related to the topic of article otherwise, Wikipedia wont accept your article. Have you heard about Hubpages. Yeah they can help you to increase your traffic too. So, what are you waiting for just head straight and create Hubpage for your blog. You can include a little bit information about your blog too. How about creating a fantastic wiki page for your blog? That will boost your traffic too. Join BlogCatalog and create a community around your blog. Also join other peoples community, so they do the same for you. Also join a site called Technorati and when you post every new post in your blog, be sure to ping it. You can also post related how-to tutorial videos on YouTube with the link to your blog at the bottom of the videos (description part of the video) or at the beginning or end of the video. There is this site called Yahoo Answers. Sign up or log in if you already have a Yahoo account and begin answering the questions which is related to your niche, and also leave the link of your blog in the resource box. Create an account on Stumbleupon, and there you can stumble each and every new posts of your blog and not only the new ones but the old ones too if they are good enough to attract visitors. This is one of the best ways to obtain traffic for your blog for free. Besides these you can join many forums (include the forums with higher pageranks and better reputation in your list and and and especially those the forums related to your niche) and begin your link sharing. Be Sure to Use Plug-ins & Free Tools!!! You can try and use comments notifying plugins in your blog to let your readers know about the updates of new comments. And you may think why should you do that? Believe it or not friend, most people are interested in reading in your comments section of your blog than the article itself. Make sure to use social bookmarking plugins in your blog. This will make easier for your visitors and readers to submit and share your articles and post to the social bookmarking site if they find the posts to be helpful. Similarly, be sure to make use of "all in one SEO" plugin to make your blog and websites google and other search engine websites friendly. You can use a free forum plugin to create a forum for the visitors of your blog. There you can discuss and talk about the issues regarding your blog niche. Don't forget to use free advertising sites like Backpage and Craigslist. You can use sites like this to post advertisement about your blogs or articles on the related topics and categories. Remember You Are Not Alone, Other Bloggers Can Help You Too! You can make a beautiful banner ad for your blogs and websites and you can exchange links with other interested bloggers. You can use blogroll to link to other bloggers in exchange for a link to your blog on their blogroll. 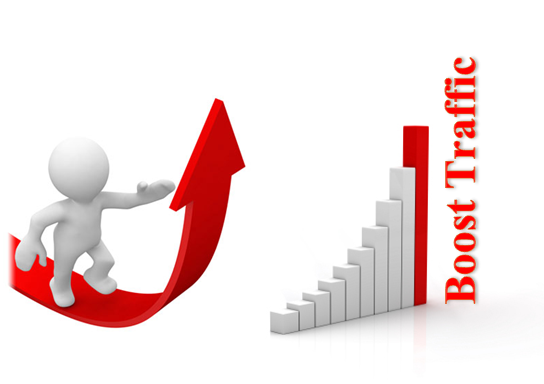 This will help you to increase your backlinks of your blogs and websites. You can request other bloggers to write a brief review about your blog in exchange for a link to their blogs from your site. You can also dedicate a post about a top bloggers in your niche. This may catch their attention and they may link to you. Whenever appropriate, don't be greedy to link to the articles from other bloggers in your post if they are wonderful and interesting enough for your readers. Yeah, they will return the favor, if they find your articles interesting too.